This cast iron tripod stand with chain and bag is perfect for cooking over an open fire. 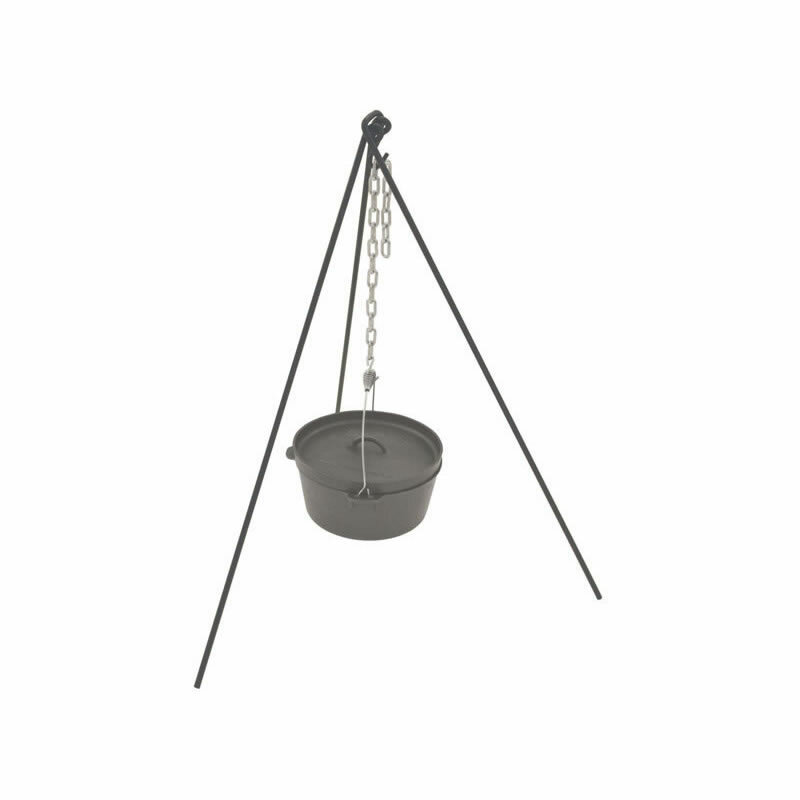 This cast iron stand is like a hanging dutch oven. This cast iron tripod has a sleek design and is perfect for those outside meals. This tripod stand includes a chain and a bag. If you do any cooking outside over an open fire, this cast iron tripod stand is a must have. Also take a moment to check out our other cast iron cookware items!